SKU: 01- ZM. Category: Hull & Bottom Cleaning. Over the years I can’t tell you how many times I’ve dropped a Hex Key or Allen Wrench while changing Zincs underwater. But I can tell you how many times I’ve found that tool after sifting around in the silt for 20 minutes. One time……not a very good record for sure. The reality is that it isn’t about the cost of a single Hex Key or Allen Wrench; it’s about being efficient and completing the job. You don’t want to have to surface, change out of your gear and come back with a new tool. Or worse yet, you tighten the shaft zincs to snug and then lose the tool. Now you run the risk of throwing the Zinc if you want to run the boat. The Top Shelf Marine Products “Zinc Master” Tethered Hex Key Set alleviates this issue. We take high quality, Made in Germany, Wiha Hex Keys and modify them for the task of changing zincs underwater. 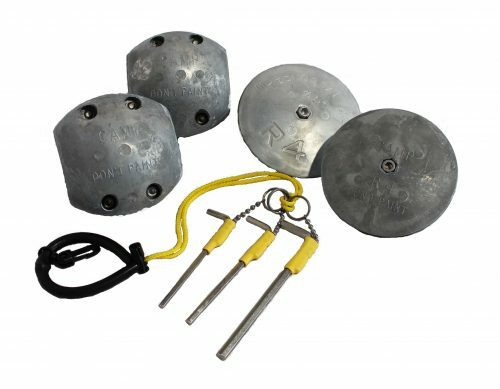 The tools themselves are nickel plated to resist corrosion, in addition we’ve installed Stainless Steel Bead Chain to allow the tool to swivel while in use and more importantly be tethered so they can’t be lost. Each Key comes with its own Stainless Steel split ring. An individual Key that fits your Zincs can be attached to the supplied wrist lanyard. 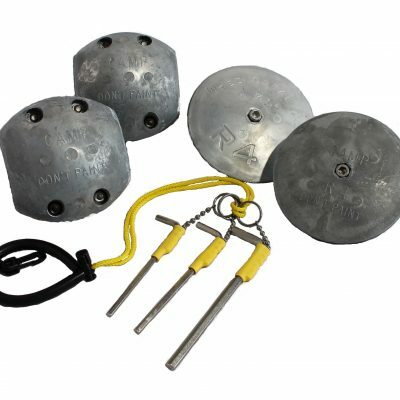 Or multiple Keys can be attached if your vessel uses different size Zincs that have different size hex bolts. The base tool is a “Long Arm” design that provides more leverage and torque than a T handle design. 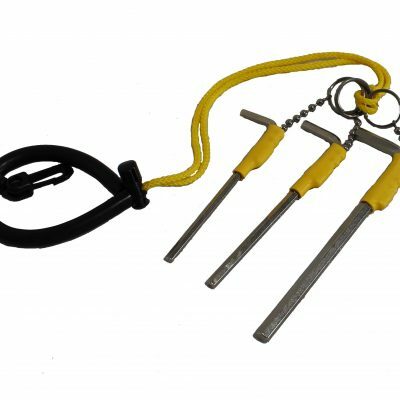 The Hex Key Set includes ¼”, 3/16” and 5/32”tools. 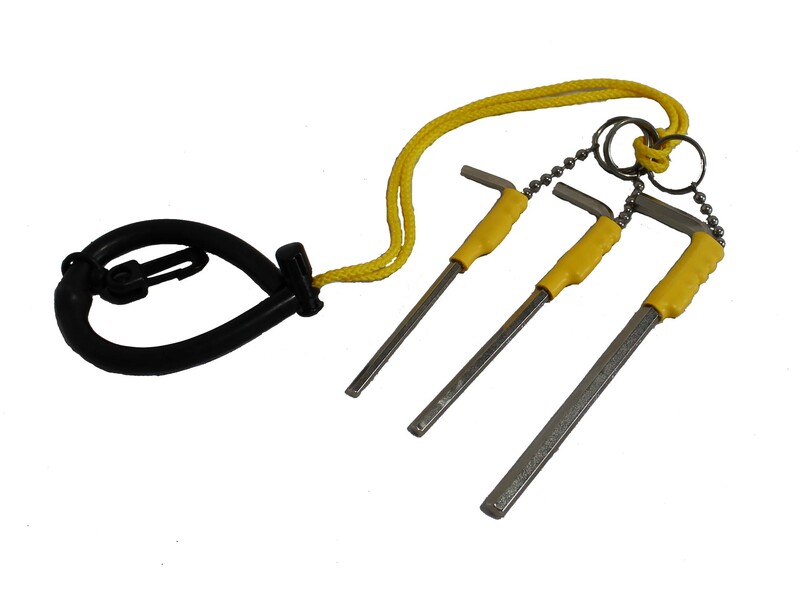 These fit all Camp Shaft Zincs up to 5” Shaft Diameter and all Camp Rudder Zincs up to R7, a high quality wrist lanyard with clip is also included. You can carry the tools on your wrist or clip them to a “D” ring on your BC or Weight Belt.